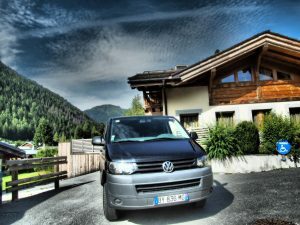 One of the great advantages of the Chamonix Valley is the short transfer time. 1hr to Chamonix from Geneva and 1.15 hr to Argentiere where our chalets are located. Let us know what time you will be arriving into Geneva and on which flight and Mountain Retreats will pick you up from the airport. Please note arrival time at the chalet is 4pm and departure time is 10am. If you are staying in one of our catered chalets please check with us if you have a problem with flights as we can often be flexible. There are a wide variety of airlines that fly into Geneva from around the UK and the world. These include Swiss, British Airways, Easyjet and many others. If you book well in advance some extremely cheap flights can often be found. Get in touch with us if you would like us to research a flight for your group – you need to book it directly with the agent who holds the ATOL license. Alternatively try the websites below which we have found useful. We use the excellent Namaste Sports for our ski and boot hire. We feel they provide an excellent range of equipment that is well serviced and they offer our clients a discount. Your ski hire bill is payable directly to the shop at the end of your holiday. We would also advise you to take out the optional ski hire insurance in case of loss, damage or theft. A lesson can make all the difference to your skiing or snowboarding – even if it is just to get you back in the swing of things. We generally recommend Evolution 2 ski school as it has good English speaking instructors and also runs the Panda Club for children 3 – 12 years. If you would like to take lessons or book the Panda Club then please let us know in plenty of time and we will arrange them for you. We normally advise clients to club together to take a private instructor – we feel that they will benefit more from this. We like to organize these for you in advance if possible to avoid queuing to get them in the morning. You will be sent through an information sheet on prices and options before arrival so they can be ready for you at the chalet.